- 8"L Projection and Backplate is 2"W x 3"L.
- 10"L Projection and Backplate is 2"W x 3"L.
This brass flange features flawless look to your shower hardware. Shower Rod Flange is designed with a smooth look when installing a shower. Decorative Brass flanges provides a sleek, modern profile, and it comes in a range of brass finishes for easy coordinating with surrounding decor. Choose from Brass, Chrome, Nickel or Bronze. 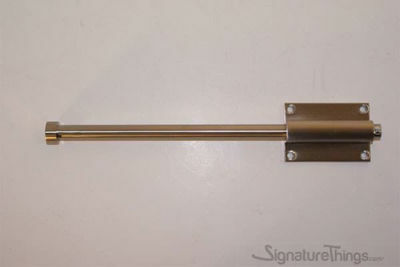 Add a decorative touch to your shower rod with this smart flange. 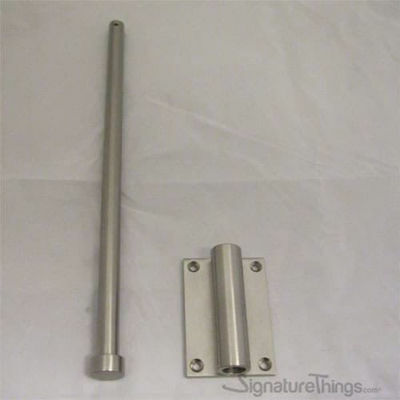 Your 1 inch shower rod will fit snugly into the flange tube, which is accented with a decorative escutcheon. 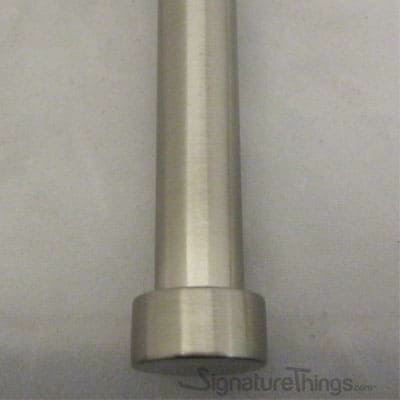 Add a decorative touch to your shower rod with this smart Elegant 2 Piece Shower Rod Flange. 2" projection and 1 1/2" backplate. Suitable 1" Dia Brass Tubing Only. 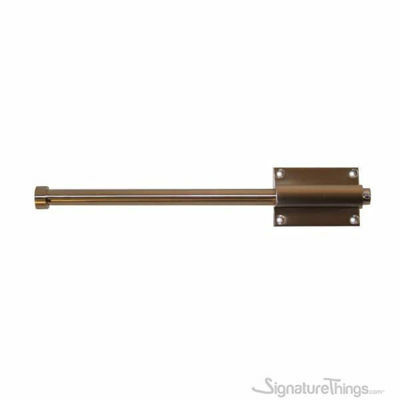 This brass flanges Also use to hold Closet rods, Curtain rod & other drapery rods. Custom finish available. Choose from Brass, Chrome, Nickel & Bronze etc.